Expert System’s product roadmap, future vision, AI technology Cogito sophisticated capabilities for multilingual natural language processing and strong services expertise as key differentiators that appeal to customers. – Artificial Intelligence company Expert System today announced it has been positioned by Gartner, Inc. in its July 2018 Magic Quadrant for Insight Engines. This is the second consecutive year Expert System has been recognized by Gartner in the MQ, the culmination of its research focusing on the specific market of Insight Engines. According to Gartner, “Insight Engines apply relevancy methods to describe, discover, organize and analyze data. This allows existing or synthesized information to be delivered proactively or interactively, and in the context of digital workers, customers or constituents at timely business moments.” Given the volume, variety and speed of today’s information, intelligent technologies are a must for extracting value that businesses can harness for competitive advantage. 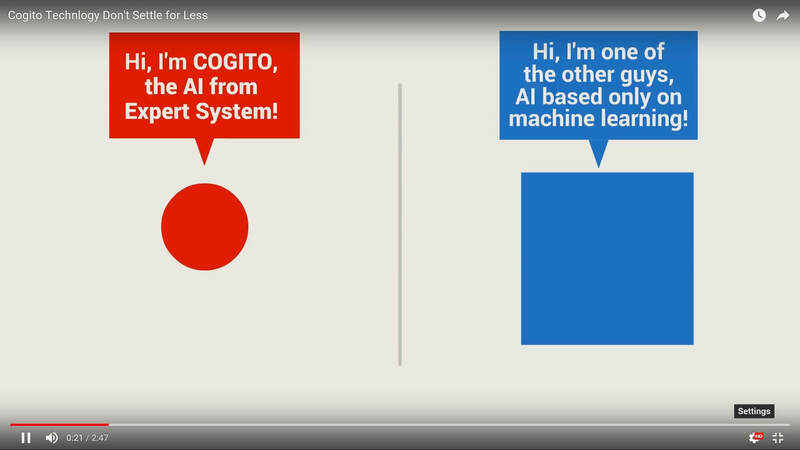 Expert System’s Cogito technology leverages Artificial Intelligence to make the intersection of information retrieval and text analytics real and profitable. By effectively managing and making sense of unstructured information, Cogito allows organizations to search, analyze and extract knowledge, providing the strategic insight necessary for improving decision-making. “Insight engines augment search technology with artificial intelligence to deliver insights — in context and using various modalities — derived from the full range of enterprise content and data.” The 2018 Magic Quadrant for Insight Engines evaluated 13 solutions on the market. Expert System believes its recognition is based on its flagship AI technology and the strong satisfaction expressed by customers regarding its capabilities and performance. Cogito distinguishes for its ability to address a variety of uses cases as part of a broader process (such as claims management in Insurance) as well as its strong services expertise and placement for R&D.